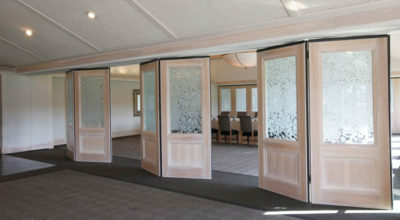 Operable Walls and paritions are great for multi-purpose locations. 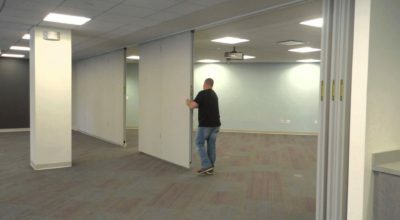 Whether you’ve got a church, hospital, school, conference center, office space or any other multi-use facility, using folding walls and operable partitions is a great way to maximize your space. At Specialty Building Services, we offer the best operable wall and operable partition installation service in the San Antonio and Austin areas. We offer high-quality products from the Kwik-Wall brand, and can customize our walls to fit any space or need. From movable glass walls and operable walls to accordion partitions, we have something for everyone. 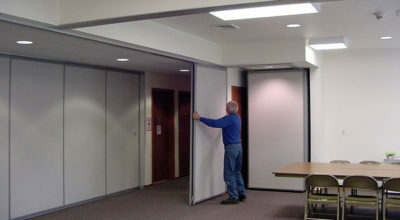 Our team has years of experience in operable partition installation and repair, and we can handle nearly any sized job or project. If you’re ready to install a custom operable wall in your space, contact our professional team using the contact form on the right, or give us a call at 830-582-4065. Ready to let our professional team help with your San Antonio Operable Wall Installation ? Got a quick question for our experts? Drop us a quick line using this form and we’ll be happy to get right back to you. Thank you!